The time has arrived. 365scoops is making it’s big debut on the UWS. I’ll be giving away free ice cream at Stand Up NY TODAY, Monday October 17th at 7pm. 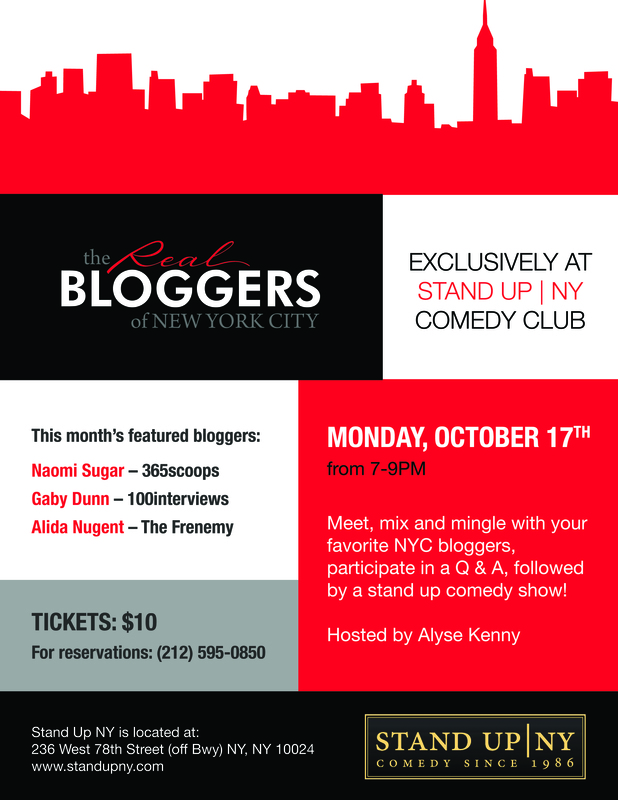 I’ll be part of the Real Bloggers of NYC series, which includes a meet and greet (with yours truly! ), a stand up comedy show (not by yours truly! ), drinks, and 365scoops. If you want to try some yummy creations, come on down! SPOILER ALERT: I will be scooping 15 pints of ice cream and sorbet – and to entice you to come, here are two of the spectacular treats: Charleston Chew and Tiramisu. Some things need to be a surprise – so you’ll have to come to find out the other 3 flavors! Anyone who comes will be entered to win their very own, custom-designed pint of ice cream. See you soon!